Attack 1 : VOTE FOR GEORGE! George Washington grew up in Virginia and was the war general that gave us independence & freedom from the British. George Washington puts the people first above all else! He cares more about the well-being of the people of America than politics. 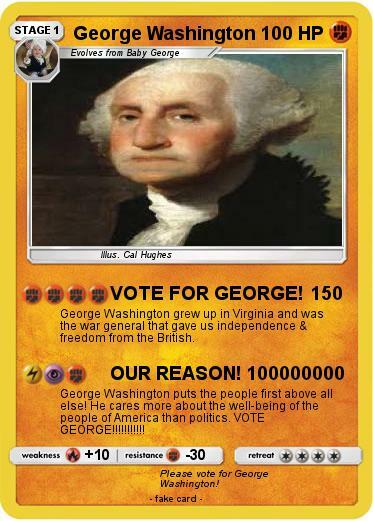 VOTE GEORGE!!!!!!!!!!! Comments : Please vote for George Washington!